Koshidaka Malaysia Sdn Bhd is a subsidiary group of Koshidaka Holdings, expanding our footprints with one of Japan’s big brand – Manekineko. Established in Malaysia in August 2018, the company has since then developed into Singapore’s leading and most progressive karaoke entertainment provider just within two years. We had a clear mission statement: to reward guests with the best karaoke experience possible within creative and exciting themed concept rooms. Koshidaka HOLDINGS has been growing to be a wholesome entertainment service provider. We are continuously challenging the boundaries and driving innovation based on our business philosophy of bringing happiness to our customers, by refining our products and services through an absolute customer-oriented management approach. To be a competitive karaoke enterprise that creates value by delivering healthy, decent and excellent service to the community; employ a customer-driven philosophy to emphasize the company’s goodwill and culture. Our main businesses include karaoke, revolving around the “Karaoke Manekineko” chain, Curves fitness club for women and our hot spring business segment that operates a range of hot spring facilities. Based on our concept of developing “new business models in existing industries”, we provide a range of products and services that contribute to the vitality and health of our customers in our role as a “total entertainment service provider”. Koshidaka is also working towards promoting the expansion of our karaoke business overseas. We believe we can establish a business model and expand our business area by establishing multiple stores in countries such as Korea and Singapore. Our first aim is to take on the challenge of expanding into the global market by establishing the roots of a karaoke culture in countries across South East Asia that have strong consumer confidence and an increasing young population. Our karaoke business is expanding rapidly overseas with 13 stores now operating in Korea. We aim to establish business models that meet the conditions of the local market as we move towards our plan for full-scale expansion. 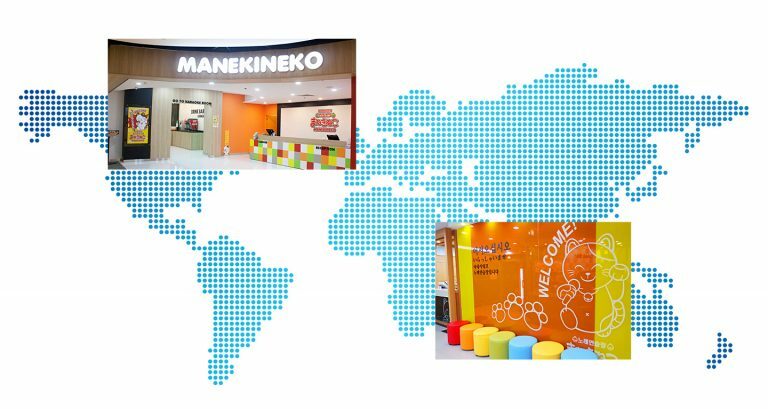 In Singapore, we have purchased a local chain with strong brand recognition and are gradually transforming them to fit in with our “Manekineko” brand concept. Our concept of providing friendly, welcoming stores that offer a safe environment and a full range of unique services for a reasonable price is taking root in the local communities, driving significant increases in both customer numbers and sales, which has helped us to achieve black figures for the entire fiscal year. Countries across South East Asia are experiencing economic growth, strong consumer confidence and an increasing young population, which forms the majority of karaoke users. In the years to come, we hope to open stores across all of South East Asia, including Indonesia, the Philippines and Vietnam etc. as we channel our energy into the development of a sound earnings structure. Further, we will also continue business trials with our sights on the global market, such as exploring the idea of expansion into the European and US markets etc. gaining a strong reputation overseas. The basic philosophy behind our karaoke stores of providing friendly, welcoming stores that offer a safe environment and a full range of unique services for a reasonable price is gaining a strong reputation among overseas customers, increasing the fan base behind the Koshidaka brand. Courteous, professional customer service and stores with a clean modern interior are steadily gaining in popularity and attracting more and more customers. The attraction of friendly, welcoming stores that offer a safe environment and a full range of unique services for a reasonable price is taking root among local karaoke fans. The courteous, professional level of service that Japan is renowned for, customer service that makes customers smile and clean stores that give a sense of freshness are garnering a favorable impression as an entirely new level of high-quality karaoke boxes and is helping to raise recognition of the “Manekineko Brand”, which is promoted for our overseas business. The potential demand for karaoke in the overseas market is extremely high and we believe that opportunities for further business expansion will increase significantly if we are able to develop stores that offer the same level of products and services that we have refined here in Japan. It is our aim to establish our brand image in Singapore, a country known as the showroom of South East Asia and a center for culture and fashion, as we look to further grow our overseas operations. 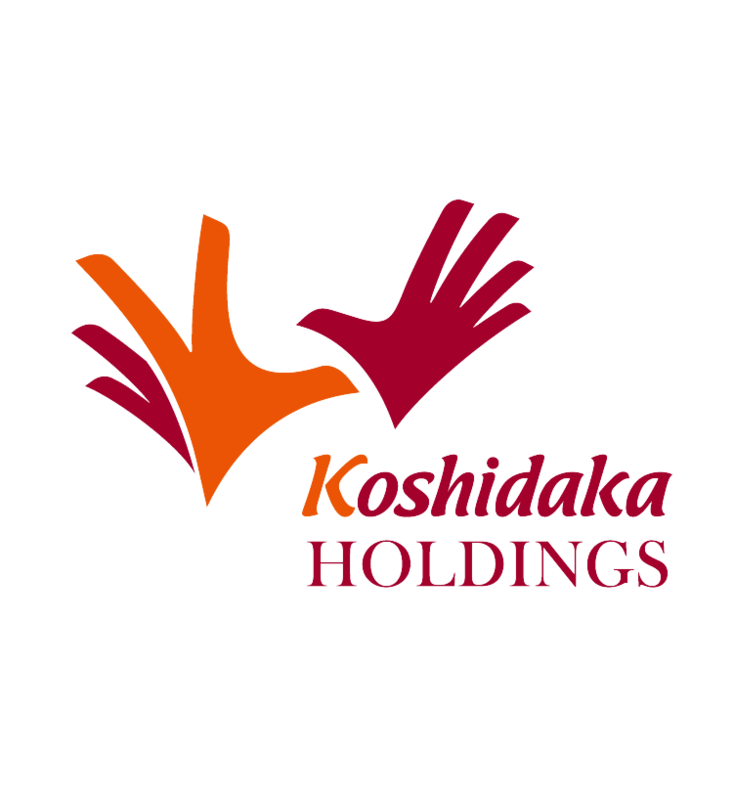 Koshidaka HOLDINGS has been growing to be a wholesome entertainment service provider. Though humble at the beginning, we are continuously challenging the boundaries and driving innovation based on our business philosophy of bringing happiness to our customers, by refining our products and services through an absolute customer-oriented management approach.